This week’s post is written by My Wellbeing Community Manager, Kayla. 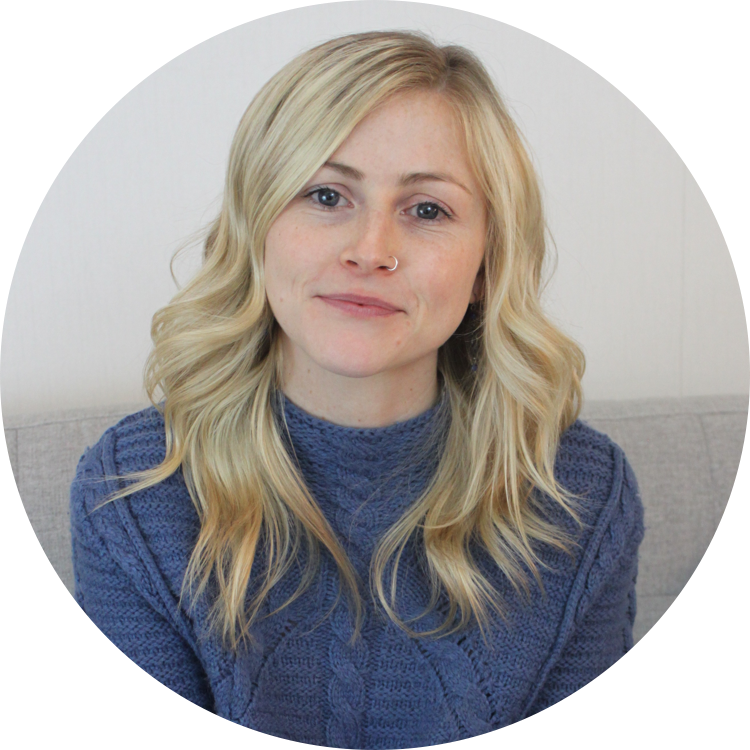 Kayla has learned from her own experience working within the mental health field and through her work with My Wellbeing community members and therapy seekers that at the start of therapy, many clients wonder how long they should be in therapy for and how they will plan for this. There is no one-size-fits all answer to this question, however, there are helpful guidelines. Kayla shares those guidelines in today’s post. You’ve made the decision to start therapy. Or maybe you haven’t decided quite yet, but you’ve been considering it. Either way, it’s likely that you have a whole host of questions running through your mind about what to expect and even how to call a therapist. This is normal. It is also likely that many of these questions are ones that you’re struggling to find concrete answers to. This is also normal, but can sometimes lead to a feeling of groundlessness, which we’d like to help reduce. How long is this process going to take?Although we will not provide you with one concrete answer (since it oftentimes doesn’t actually exist, as badly as we’d like it to), we hope to help you feel more prepared to start therapy by providing some guidelines for what to expect. Feeling like we know what to expect can oftentimes be synonymous with feeling safe and prepared. When taking the leap to try therapy, it is totally natural to wonder how long you should commit yourself to this process in order to experience therapy’s benefits. Additionally, depending on how you will pay for therapy and how much you can afford, being able to plan and budget for the future may be a determining factor in whether or not you’ll actually start. At a minimum, we suggest that you plan to be in therapy for 3-6 months (at least 12 sessions). It takes time to get the hang of new things. For example, think of your experiences in school — how many weeks of a new course does it typically take to get used to the curriculum, syllabus, and expectations of the teacher? Or when you’ve started a new job — was there an initial introductory period set aside meant for training and familiarizing yourself with company practices and culture? Maybe you took part in a mandatory 90 day trial period. What about developing habits and creating lasting change? It will take many weeks, and sometimes even months to consistently practice a new behavior in order to make it a habit. Then it will take more consecutive months of maintaining that habit before it is fully integrated into your lifestyle and way of being. Just going to therapy will be one new practice to integrate into your life. During your time in therapy, you’ll be developing new skills, behaviors, and ways of thinking and processing information that you will also want to integrate. Commit to being in therapy long enough for all of the hard work that you put into learning new things to lead to real lifestyle shifts and lasting change. You will also want to give yourself and your therapist time to create a strong therapeutic bond. This is really important. Regardless of therapeutic approach or what “type” of therapy your therapist practices, if you don’t trust the professional who is guiding you through the process, it is likely that you will not see much progress. This trust takes time to build. Think of the people in your life who you are closest to, who you’d follow willingly into unknown territories. How long would you say those relationships took to build? The quality of the therapeutic relationship will be one of the most important mediating factors in how much you grow in therapy. It is important to give yourself enough time in therapy to build a relationship with your therapist that is strong and trusting. You’ll need at least 3-6 months to allow for a relationship like this to fully develop. While 3-6 months can be a sufficient amount of time for a person to meet their goals in therapy and start to experience real and noticeable change in their life, many people may want to consider committing 6 months-1 yearSome challenges in your life today have likely cumulated over a considerable amount of time; for example, stress in your relationships, career stress, identity dynamics, or more. Other challenges may have developed in a more acute way; for example, a car accident, terrifying experience, or experience of deep loss. Many challenges have likely had an (understandably) profound impact on your ability to trust in the world and live as you wish to. Whatever the particular circumstances are in the unique context of your life, it is reasonable that ongoing and tough challenges will take some time to work through in order to better deal with and understand them. If you are interested in therapy because things just don’t feel right, or you are hoping to resolve ongoing, chronic difficulties, it may be best for you to commit to 6 months - 1 year. You’ll spend the first 3-6 months building a strong foundation for your therapy experience (like we discussed earlier). Then, you will continue forward for the next 3-6 months with the help of your therapist feeling more grounded, secure, self-aware and equipped to take on the challenges that you were struggling to cope with prior to therapy. Many people continue to stay in therapy for over a year. Some people engage in therapy for many years. Other people go to therapy, leave therapy, and return to therapy at different points all throughout their life. Sometimes incredibly difficult circumstances or really deep wounds call for a considerable amount of care and attention so that healing can happen. That makes sense. Other times, people find that they really enjoy therapy. Even after reaching their initial therapy goals, they continue further. They appreciate how different a space it is than most (or even all) of the other spaces in their life, so they continue forward indefinitely to keep developing new goals and to grow in new ways. Therapy is about healing. It’s about building a relationship with a trained professional that can help us to better understand ourselves and the world around us. It’s about perspective taking and shifting. It’s about connecting. It’s about reflecting and planning and trying and failing and starting back a square one, having learned something new so that we can try again, better equipped than we were before. Therapy is a concentrated effort towards utilizing and strengthening resilience so that we can grow, change, and become who and how we’d like to be. Any amount of time put into this effort has value — but there isn’t ever a point in life when an individual has no more room for growth. So How Should You Plan? We’d be remiss not to acknowledge how little extra time most of us feel like we have, or to not recognize that therapy is a financial investment, and many people do not have an endless supply of funds they can assume will always be available for therapy. Therapy is an investment — an investment in yourself. If you’ve found ways to budget for and make room for therapy for 2-3 weeks, it’s likely that you can find ways to continue on for at least 3 months. So, for almost anyone who is considering therapy or who has made the decision to start, we’d encourage you to stick it out for 12 weeks minimum. Real change takes time. Go into therapy with some ideas about what you’d like to accomplish while you’re there. It’s likely that you’ll talk with your therapist about this at the start of your relationship. After three months, check in with yourself — What’s changed in your life? How are things different now than they were before? Are some of the problems and pain points that you entered therapy with less burdensome to you now? Have you gained understanding and perspective that has led to different ways of making meaning and understanding yourself and your life? Do you have new coping skills for getting through some of the obstacles that used to hold you back? If after considering the questions above you feel you’ve reached your goals in therapy and that you’d like to try taking what you’ve learned outside of “the therapy room” into the world on your own, talk to your therapist about this. It may be time for you to approach the culmination of this experience. But maybe after you’ve considered those questions above, you realize that despite noticing progress and growth, you still have some issues you’d like to spend more time working through. Or maybe all of the things you were hoping to work through in therapy 3 months ago are completely different now, however, there are some new things you’d like to work through and your therapist is someone you trust and would like to continue on this journey with. Then, keep going. Therapy is a lot of hard work. Like with other things in life, the hard work that you put in can have tremendous value and impact. But you need to give it time. Don’t sell yourself short, cut corners, or get caught up thinking you don’t deserve to invest so much into yourself. With a therapist who is a good fit for you, the growth that can happen for you in one year will continue to impact your life in positive ways for many more years to come. Commit at least 3-6 months to start, and experience the shifts along the way. We hope that this information is helpful for understanding how much time you will want to commit to therapy and why. If you have thoughts, comments, or suggestions based on what you’ve read, we’d love to hear from you. Reach out to our team any time at connect@mywellbeing.com or on social @findmywellbeing. If there is a topic you are thinking about or would love more feedback on, let us know! We’re happy to help. As always, if you’re ready to get started with your therapist match, share your preferences here to receive your match, right to your inbox.